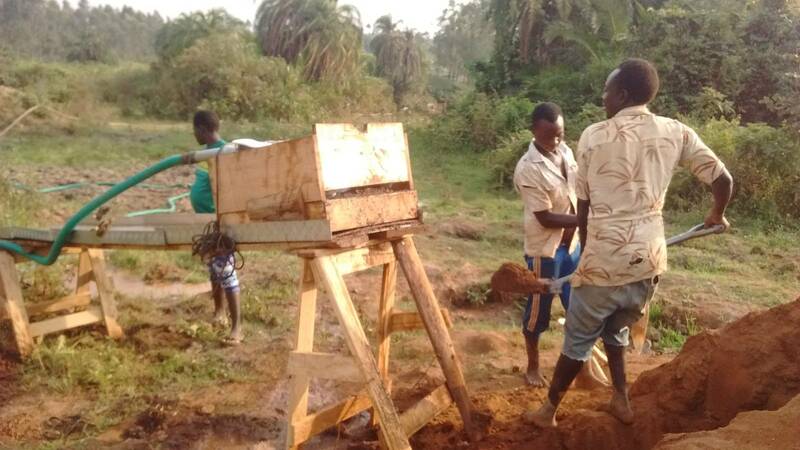 How to start small scale mining? How we help gold mining license holders? Sluice is fed by miners by the rate of 132 shovels per hour where average shovel is about 8 kilograms, amounting to little bit more than one tonne per hour. In the first stage, slow water pressure and low slope is applied to review how much of gold is retained and what gold is eventually being lost. Once capability have been attained, the slope is increasing up to the tolerated degree, and water pressure is increased. Up to 6-8 tonnes per hour may then be handled in the second stage. If you wish to call mentor Mr. Jean Louis for anything relating to Start Your Own Gold Mine simply call the number or on mobile devices click on this phone number +385958185403 to get immediately in touch, regardless of the time zone. I am Mr. Jean Louis, mentor for Start Your Own Gold Mine program and I am currently located in Novska, Croatia, for purposes of construction of gold mining equipment Europe, and private purposes. I am managing teams of people in Uganda, Kenya, Rwanda and Tanzania and handling purchases and manufacture of mining equipment. We are also promoting our Tanzanite gemstone inventory. You will need either to contact me or Communication and Reporting Officer I/C, Mr. Gabriel Masanyiwa in Tanzania as described.